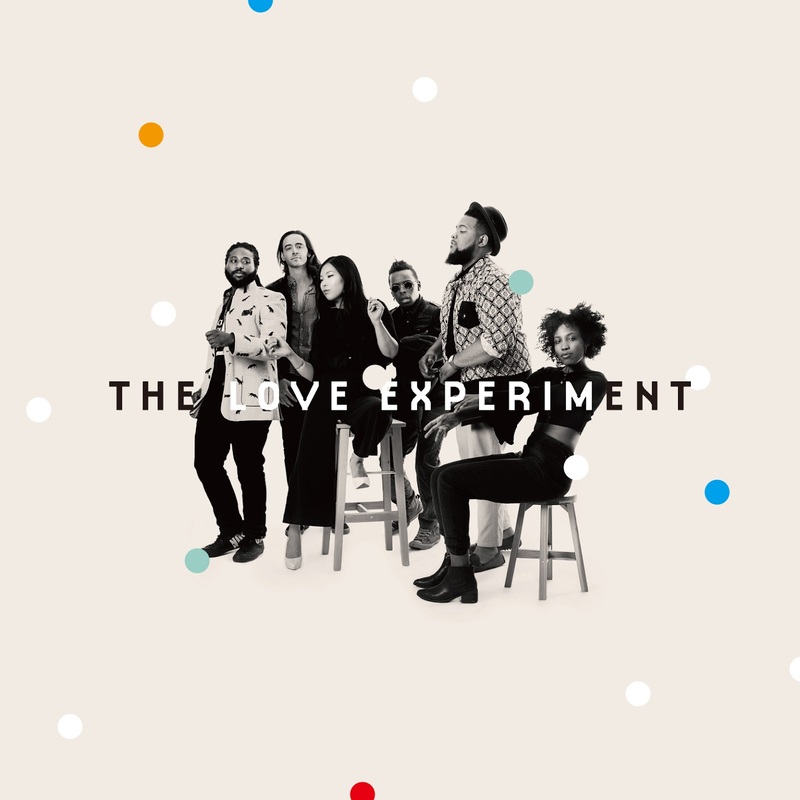 With the worldwide release of the band’s debut album having been unveiled in December last year, The Love Experiment open 2017 with an electrifying introduction. 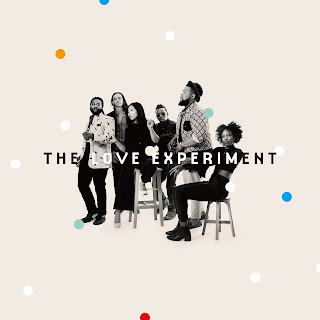 The Love Experiment may be a new name to many but they have been steadily honing their skills and building anticipation for their first official release since 2010. Formed in Boston and now based in New York City, the band has established a strong reputation as standout live performers; from throwing secret parties to sharing the stage with seasoned and diverse artists including Talib Kweli, Mad Satta and Si*Se. Those six years have been more than worth it if this is the result! Headed up by drummer, Charles “Blvk Samurai” Burchell, the team of Kim Mayo on lead vocals, Parker McAllister on bass, Andrew Burglass on guitar, Jessi Lee on sax, and a slew of other artists and musicians all set the bar remarkably high on their self-titled release and leave you craving more by its conclusion: the dreamy delivery of ‘Slow’, the sweet funk of ‘School Girl’, and the album’s eight-minute magnum opus, ‘Beautiful’, all accentuate the talents of a band dripping with creativity. The concept of the ‘Experiment’ within the band’s name goes deeper than just their dissection of ‘love’ as a theme, but also something indicative of their overarching musical aesthetic: whilst their sound openly displays the influences of the artists and genres that have inspired them, their own vision consolidates those sounds into a provocative melting pot which is part hip-hop, part jazz and part R&B, making The Love Experiment exciting representatives for a new generation of progressive soul music. The fluidity of the music on their debut release gives them the freedom to take it in any direction they may want to going forward and, as fans, it will be thrilling to watch them flourish either on further albums or on the live stage. Which artists have been the biggest influence in shaping the sound of The Love Experiment? I think the artists that have had the biggest influence on us would be J Dilla, Flying Lotus, Erykah Badu, Radiohead, Doobie Powell and Robert Glasper. How did members of the band initially meet and start working together? We all met in college in Boston while attending various schools: New England Conservatory, Berklee College of Music, and Harvard University. We were initially assembled to play a black history month concert at Harvard University. However, a week before that we were invited to play a show in a warehouse. At that show people started making love on the dance floor. It was at that point that we decided to really become a band. What inspired the group's name? At first it was a joke. The first time to group played it was for a school talent show. As we began writing music for the group most of the songs focused on love and presenting a more realistic portrayal of love. Love isn’t always a warm and fuzzy feeling. We all assume that we know how to love well but the truth is that there’s no blueprint and we are all trying to figure it out. So in essence all love is an experiment. The name just stuck. How does the creative process of making new music usually work for you all? All of the members are songwriters and producers in their own right so a lot of our new music comes from one of the members bringing in a track or a sketch of a song that they started and then the band workshops it. Sometimes we send clips or ideas to different members to work on before presenting to the entire band. I think our magic really comes when we workshop songs as a group. We are all trained improvisers so we like to see what the moment inspires us in the moment as we’re working on new songs. Congratulations on the release of the debut album: can you talk a little about how the project was to put together? This project was definitely a process. We all graduated from school around 2012-2013. We then transitioned to New York from Boston. Before most of us moved to New York we started recording this record in the summer of 2013. We set out to record all the music we made in college so this record originally started as 5 EPs. For anyone who’s ever lived in New York then they can understand how hard our transition to New York was. 2014 was basically a transition year and we did as much as we could to finish 25 songs with members and producers between two cities. 2015 we changed the line-up and threw out half of our material so we essentially had to start on a new record. So by 2016 we finally had the tracks for this record decided and finished. We learned a lot during the process and basically transformed what we wrote in 2011-2012 into something that could connect in 2016 and beyond. We are still perfecting the concept of a produced band. We’re all producers and we’re trying to find a sound between a band and live production. How did the collaboration with JSWISS materialise? Back in 2014 we would regularly attend these jam sessions at a friend’s house. The session which was called the Blue Light Party was a place for bands, emcees, and visual artists to connect. We met JSWISS at these parties and connected. There was also another weekly session hosted by a grouped called Tiger Speak that a lot of our members played in. JSWISS would come by that session a lot too. Looking back those were some very creative times. We were all trying to find our own space in New York. Has there been any thought as to what a follow-up album would sound like? Funkier, more soulful, more sonically adventurous. We already have a lot of the tracks for our follow up projects and the sound has changed a lot from this current record. We will definitely have a lot more production elements and will try to incorporate the full range of what our band can do sonically. Who would be a dream artist for the group to either record or perform with? Erykah Badu, Flying Lotus, Anderson .Paak, Pharrell, Kendrick Lamar, Ghostface Killah (really any Wu-Tang Member), Kanye West (just sample us)... There’s a lot but I really think Anderson .Paak, Flying Lotus and Kendrick are pushing music in the direction we’re trying to go.